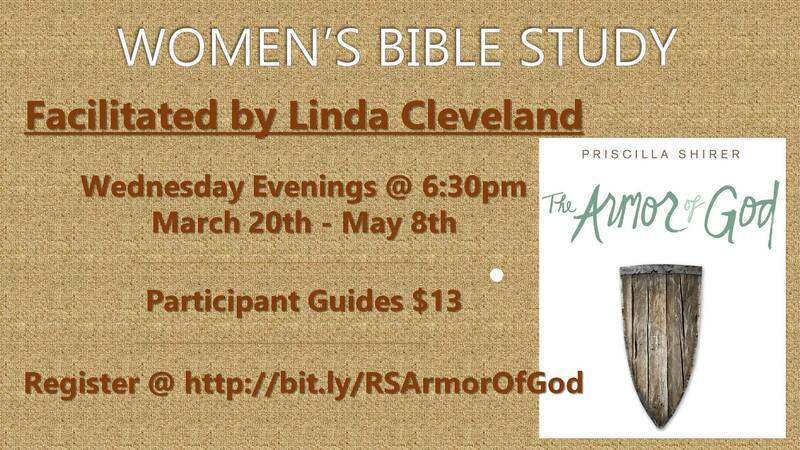 Written by Priscilla Shirer and facilitated by Linda Cleveland, The Armor of God is a powerful 6-week Bible Study focusing on New Testament Scripture! ll day, every day, an invisible war rages around you — unseen, unheard, yet felt throughout every aspect of your life. A devoted, devilish enemy seeks to wreak havoc on everything that matters to you: your heart, your mind, your marriage, your children, your relationships, your resilience, your dreams, your destiny.